Have you gotten discouraged and thought about giving up on your online marketing dream, because you are afraid it would just be too expensive? Well, cheer up, because I have some great news! You don’t have to have a lot of money to start marketing online. You can do it with very little. In some cases, you may not need any. Today, let’s talk about some tools you can use to help you launch your online marketing campaign, even if you have very little money to invest. Those that help you launch an online campaign. Those that help you manage and/or optimize it. Here’s a bonus for you: all of these free or inexpensive tools can serve you well even after your online marketing is very successful and you have lots of money rolling in. The first online marketing tool you need is a website. Your website needs to be your online marketing hub. You’ll want to drive traffic to your site from a number of different sources, including email and social media. You’ll need to optimize your website to make it a more effective conversion tool. Websites can be very expensive to set up. But with some basic knowhow you can set one up for practically nothing. WordPress is considered the “Gold Standard” of website platforms for Internet marketing. The WordPress website has lots of free themes you can choose. Even though WordPress is easy to use, you still may have questions or problems. A key benefit of choosing this platform is that it’s so popular and widespread there are many websites and online forums where you can get your questions answered. WordPress.org has an extensive support forum. You may want to look there first when you are seeking an answer to a WordPress-related question. Your site needs to be hosted. There are many inexpensive or even free hosting options available. Even though free is an option, you’ll probably want to choose an inexpensive hosting setup over totally free. Chances are you will get better service and more benefits if you invest a few bucks a month. Bluehost has been on WordPress’ list of recommended hosts since 2005. The company has a special offer for WordPress users - website hosting for as low as $3.95 per month. Like I mentioned a moment ago, you want to drive traffic to your website from a number of different sources. One of those sources is your email marketing list. Email allows you to stay in contact with customers and potential customers. Done right, it builds top of mind awareness in readers’ minds. It can be a useful tool for generating signups for your latest white paper or webinar. With Doppler, you can conduct an email marketing campaign for free for up to 500 list members. You can also use social media to drive traffic to your website. But it’s easy to get overwhelmed here: don’t feel like you need to sign up for every social media channel. Here’s a tip: to start, sign up for one or two. And don’t bother with channels you aren’t confident will resonate with and attract your audience. For example, don’t try to attract customers for B2C arts and crafts sales through LinkedIn. And if you are a B2B marketer for an industrial solvent manufacturer, don’t try to attract new customers through Pinterest. As your social media activity level grows, you’ll want to take steps to manage and streamline your activity here. One of the very best programs to help you with this is Hootsuite. You can choose from a basic free version or a Pro version which has a 30-day free trial and starts at $8.99 per month. A lot of online marketers find that managing and monitoring their social media accounts is a big challenge. Hootsuite can make this part of your business a lot less difficult and stressful. In both email and social media marketing, you’ll need content. Content, whether in the form of a blog, white paper, case study or video, can attract hordes of interested traffic to your website. But there’s a catch: you have to produce that content. Don’t worry. This is a marketing tool you can acquire and use for free. It doesn’t cost you anything to write content. Be aware there is a substantial learning curve, but there’s no shortage of valuable, free training resources that can teach you a great deal about how to write compelling, persuasive marketing content. There’s probably no better place to start than Copyblogger, a reader-friendly site loaded with tons of free how-to articles on content marketing and copywriting. Congratulations! You’ve gotten started with your almost-free online marketing campaign. You’ve got a WordPress website, Bluehost hosting, social media accounts and email marketing with Doppler. Along with great content, these have helped you get started on your online marketing journey. Now it’s time to think about tools to help you manage, optimize and refine your approach. Like I mentioned a moment ago, your website needs to be your online marketing hub. It’s imperative that you draw traffic to it. But getting traffic isn’t enough. You also need to keep it on your site. You need to analyze and optimize your site. Fewer tools can be of more help to you here than Google Analytics. This program has a paid version, but the free model is adequate for the majority of online marketing situations and setups. The free version is loaded with features and capabilities that can help you identify website visitor behavior. Once you’ve identified these key patterns, you can make appropriate changes. For example, let’s say Google Analytics has identified that your site has a high bounce rate (this is where a visitor enters your site and never goes to other pages beyond the page on which he entered). If this happens repeatedly on the page that gets the most entrance traffic, you have a problem; this could kill your conversion rate. Once you’ve used Google Analytics to identify the problem, you can take corrective action and again observe to see if your bounce rate has improved. I could write a large book detailing the useful free or inexpensive tools available to online marketers like you and I. Hopefully, this article has given you some valuable information to help you start and manage your online marketing programs even if you have a severely limited budget. Earlier I mentioned the importance of conversion. Think about this: You can get all the traffic in the world, but if none of it converts, you’ll be out of business. 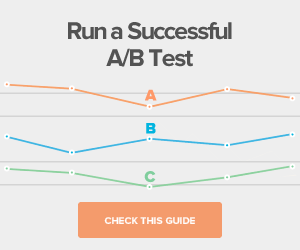 To enjoy the highest conversion rate possible, you need landing pages. Eye-catching headline areas – These help you capture visitors’ attention! Google maps – Makes your landing page even more user-friendly and enables visitors to access your business location more easily! Countdown timer – Generate interest in upcoming events and increase your conversions through special sales and limited-time offers! 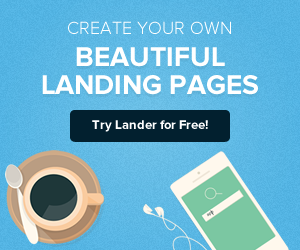 Each Lander template has a mobile-optimized version! – 30% of US consumers use their mobile devices when shopping. We can help you capture more of their business! 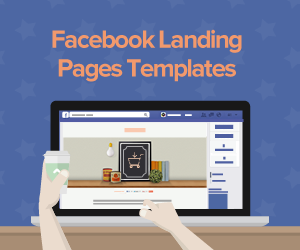 Focused and High Converting Templates – Each one of our templates are designed & thought-out to convert visitors into customers, subscribers and passionate fans. A full gallery of categories – Lander caters to a wide range of B2B and B2C campaigns, offering a choice of templates that will match any of your specific marketing goals. When it comes to the wonderful features and exciting benefits Lander offers you, I could go on and on. But let me mention just one more “feature” you’ll love the most if you are working with a tight online marketing budget. 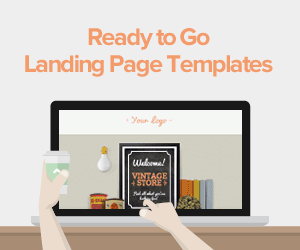 You can try any of our easy-to-manage landing page templates free for up to 30 days with no credit card required! After the trial period, we offer you a host of reasonably priced plans that start at only $22 per month.